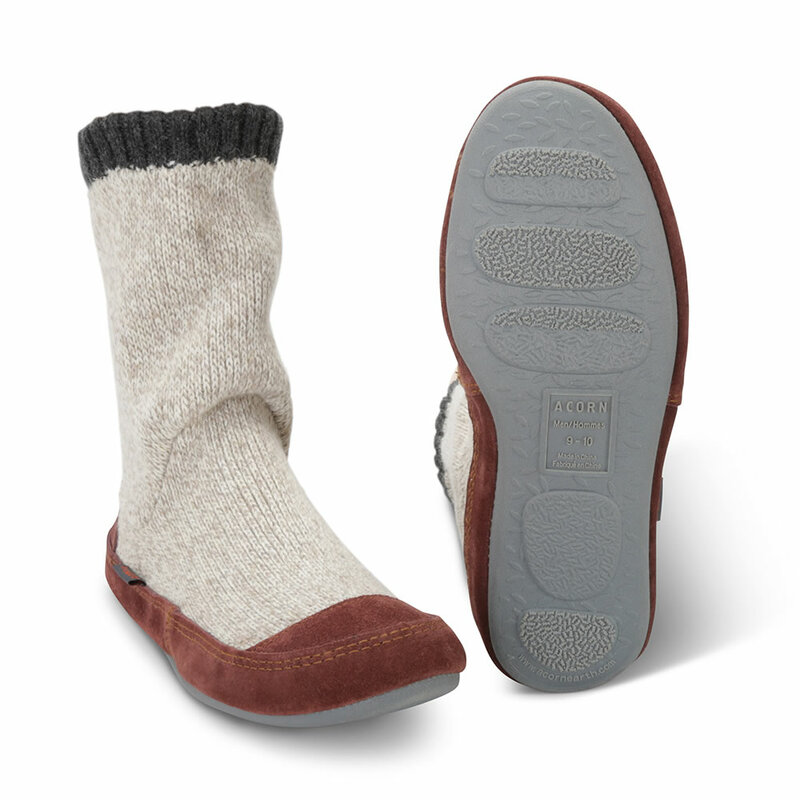 Worn by NASA astronauts on space shuttle missions and aboard the International Space Station, these are the socks updated for earthbound wear with rubber soles. 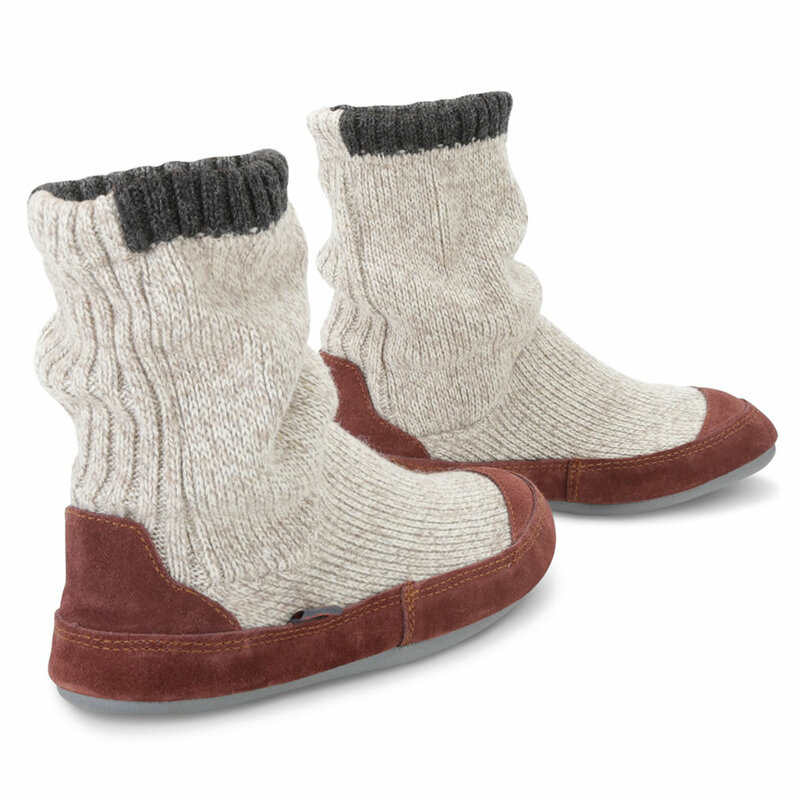 The warmth and durability of twisted rag wool hug the foot from toe to the mid-calf. 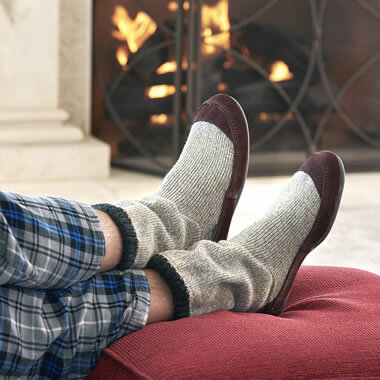 Further cushioning and insulation from cold wood or tile floors are provided by the memory-foam footbed, microfleece lining, and cow suede leather outsole and suede sidewall. Imported. Hand-wash cold, air-dry. Gray. Men’s. S (7 1/2-8 1/2), M (9-10), L (10 1/2-11 1/2), XL (12-13). 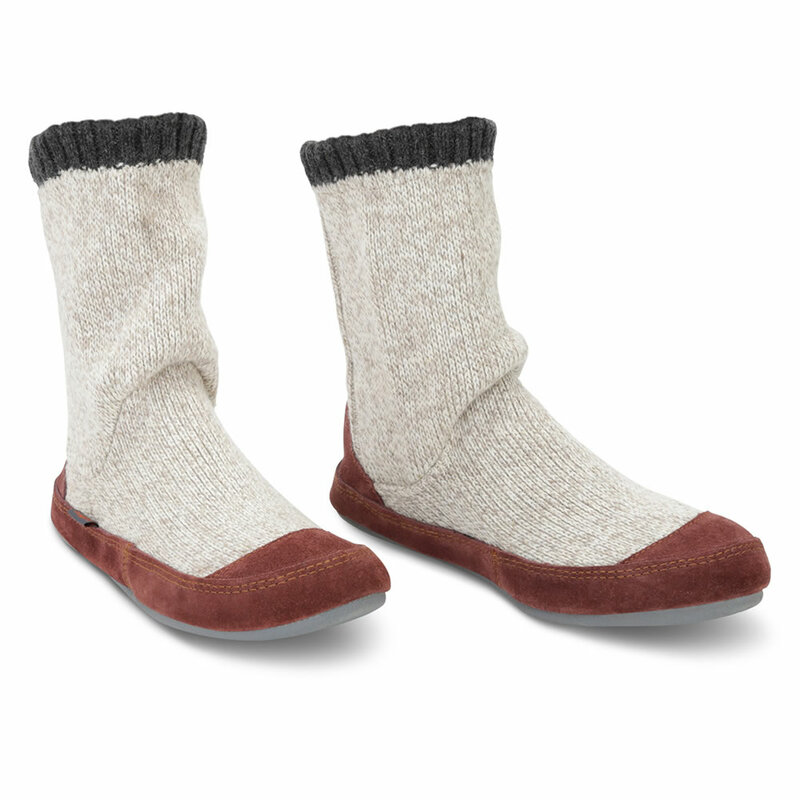 The Astronaut's Slipper Socks (Mens) comes with The Hammacher Schlemmer Lifetime Guarantee. Items that we sell are guaranteed for their normal life under standard non-commercial use.